You are here: Home / Thank you Gwinnet Technical College! / News / Thank you Gwinnet Technical College! Thank you Gwinnet Technical College! The MWS Foundation had been looking for some student volunteers to help with the design and conversion of our website to a new platform. We were able to make contact with Professor John Thacher at Gwinnet Technical College in Atlanta Georgia. Professor Thacher runs an upper level class that puts students in his class in contact with organizations seeking website development help. It also provides an opportunity for students to gain some “real world” experience with clients. The Mowat-Wilson Syndrome Foundation was given the opportunity to work with 3 students, Bethany Wheeler, Loius Zehner and Lisa Kwok during this past fall semester. The team worked closely with board members Laura Chrysostomo and Jessica Rakshys on a variety of assignments involving the new Mowat-Wilson Syndrome Foundation website. 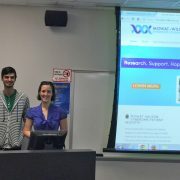 On Thursday, December 1st, the team gave a presentation of their work to classmates and professors at the school. The project work and presentation are part of their final grade in the course. Al Triunfo from the Mowat-Wilson Syndrome Foundation was in attendance. The students had provided some much needed help to the Mowat-Wilson Syndrome Foundation and did very well in the class presentation as well. Much recognition was provided to the students and Professor Thacher for providing this kind of program which helps the community as well as the students. The Mowat-Wilson Syndrome Foundation was also recognized for creating a great partnership. Laura and Jessica also received wonderful acknowledgment from the students for providing them with additional knowledge and experience. 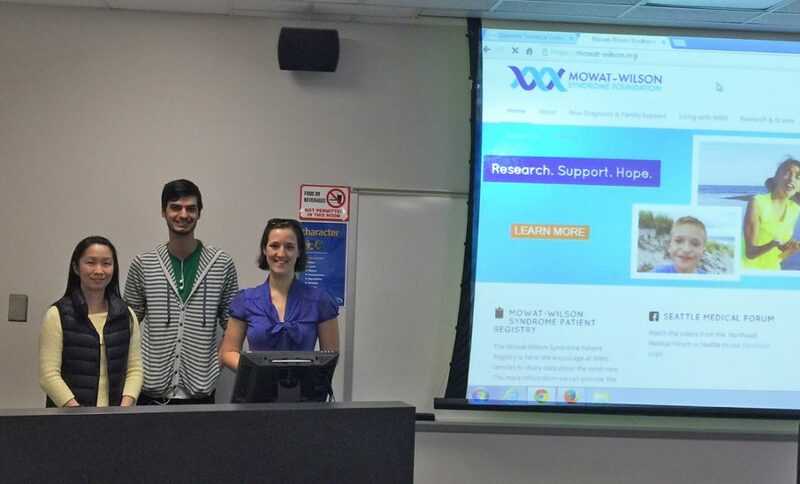 The Mowat-Wilson Syndrome Foundation again thanks Bethany, Louis, Lisa and Professor Thacher for helping us achieve our goal of launching the new and improved Mowat-Wilson Syndrome Foundation website. https://mowat-wilson.org/wp-content/uploads/2016/12/web-team-Gwinnet.jpg 686 1135 4Foundation https://mowat-wilson.org/wp-content/uploads/2016/07/MWS-logo-final-340-1.png 4Foundation2016-12-04 23:46:562016-12-04 23:46:56Thank you Gwinnet Technical College!